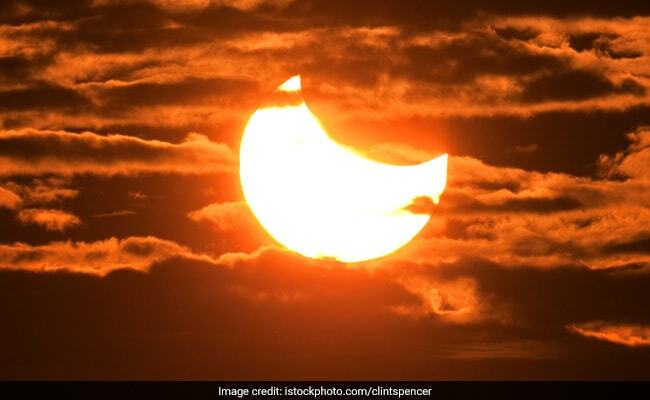 The world is going to witness a partial solar eclipse 2018 today and according to Indian Standard Time, the surya grahan time is between 1.32 pm and 5.02 pm. Experts have said that there's no need to make any alterations to diet due to the eclipse. 2018 has been a great year, as far as celestial events are concerned. After July's partial solar eclipse, sky-watchers are now getting ready to witness the partial solar eclipse or surya grahan today. The solar eclipse will take place on August 11, 2018 and will be visible to only some parts of the globe- countries that lie in the northern hemisphere of the globe. Unfortunately, astronomy enthusiasts in India will not be able to witness this particular eclipse, as it will only be visible over Northern Canada, North-eastern US, Greenland, Siberia, as well as some parts of Asia, including the cities of Seoul in South Korea and Shanghai in China. In this particular solar eclipse, the Sun will reportedly be obscured by the Moon for a total period of three and a half hours on August 11, 2018. The solar eclipse time in India will be between 1.32 pm and and 5.02 pm. There are several myths and superstitions around solar eclipse that goes back years in time. One of the most commonly held solar eclipse related myth is that cooking or consuming food during the duration of the solar eclipse may be harmful, as it can turn the food poisonous. There is a myth that even chopping vegetables, fruits or any other eatables while the solar eclipse lasts, can contaminate or poison the food. Although, this myth gains traction around the time of a total solar eclipse, some people refuse to cook or eat even during partial eclipses. Modern science, however dispels all of these myths. American space organization National Aeronautics and Space Administration (NASA) has been especially critical of all such myths, completely discrediting all of them. Addressing this particular belief of poisonous food during a solar eclipse, NASA had said last year, "Related to the false idea of harmful solar rays is that during a total solar eclipse, some kind of radiation is produced that will harm your food. If that were the case, the same radiations would harm the food in your pantry, or crops in the field." It adds by saying, "If someone is accidentally food-poisoned with potato salad during an eclipse, some might argue that the event was related to the eclipse itself even though hundreds of other people at the same location were not at all affected." Internal Medicine specialist Dr. Paritosh Baghel of SL Raheja Hospital in Mumbai is also in the favour of complete renouncement of such superstitions, related to celestial events, especially eclipses. "It (the myth) has got no scientific basis to it", says Dr. Bagel, adding that the reason these beliefs have been perpetuated in cultures across the globe is due to ignorance. "In older times, people did not know why the Sun went dark (during an eclipse). In our culture, it was believed that it was being eaten by a demon. All around the world, different cultures have different kinds of reasoning. But the only reason behind these myths was ignorance and lack of knowledge", he said, adding, "During an eclipse, you can do all the activities and follow all your dietary habits that you do on a daily basis". Dr. Baghel emphasises that there is no need for anyone to alter any of our dietary habits or schedules, due to any celestial event, including partial or complete solar eclipses.